Openlog is a serial datalogger based on open source project. It is a datalogger with simplicity in its design. It works by logging data which is sent to it over the serial link. It supports microSD cards and can support sizes upto 64GB. This allows it to be used for logging large volume of data for a very long duration of time. It is ideal for logging, debugging and for system diagnosing purposes. At the heart of open log is the ATmega328 running at 16Mhz, It has a low current draw making it a good fit for low power applications. 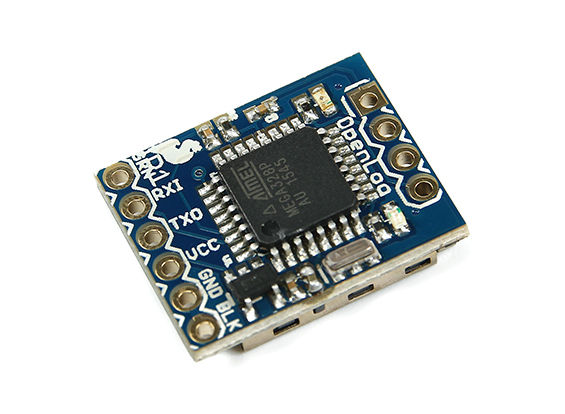 Using the openlog module is as simple as it gets, Wire it up to a serial data generating device. For example an Arduino which is sending serial logs of Temperature and humidity. The serial data is captured by openlog and written onto the SD card. Once the logging is done all thats needed is to pop out the micro SD card and plug into your SD card reader connected to your PC. You should be able to see the logged data in the form of files using a simple click. 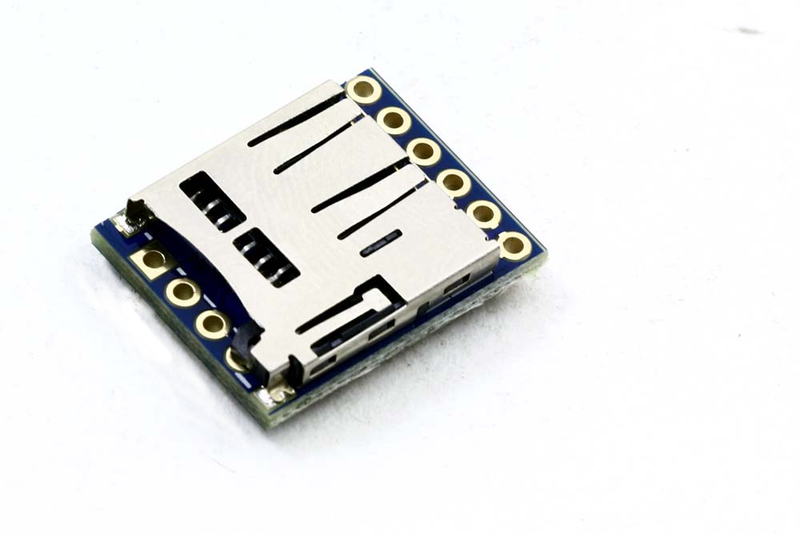 This module simplfies logging and allows for simple designs avoiding SD card shields and keeping the physical size small and the power draw low. Due to its small size and low power draw it is now heavily used as blackbox for Quads to log the in flight data for analysis and tuning. You can edit this file in-place with a text editor, and the next time the OpenLog is powered up, it will use the new settings. baud: a standard communications rate; 115200 is the max, 9600 is the default. escape: the ASCII character used to switch from logging mode to command mode (see below). The default, 26, is CTRL-Z. esc#: the number of times you need to enter the above character to enter command mode. mode: changes the way OpenLog behaves on powerup. 0 = new log (the default), 1 = sequential log, 2 = command mode. verb: short for “verbose”; 1 = print out extra debugging info, 0 = be quiet. echo: controls whether characters are echoed back to the sender in command mode. If you can’t see what you’re typing, set this to 1. Commands are available to create, delete, and examine files and directories and alter the behavior of the OpenLog. Documentation on all the commands is available at the OpenLog Wiki command page. ls: short for list (that’s a lowercase L, not a one), will give you a listing of all the files on the micro-SD card. read filename: will print out the contents of a log file. If you tell your terminal program to save the output of this command, you won’t have to remove the micro-SD card from the OpenLog to retrieve the data.